Growing up, my mom always used to make me giant cookies for my birthday because I wasn’t a huge cake fan. I mean, cake was okay, but I definitely was NOT a fan of traditional icing. Then I found the wonderful world of carrot cake. Not only does this moist, spiced cake taste amazing, but the rich buttery cream cheese frosting takes it over the top! 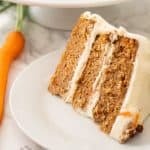 If you’re a fan of carrot cake too, you have to try today’s treat – the absolute best carrot cake recipe I’ve ever tried! 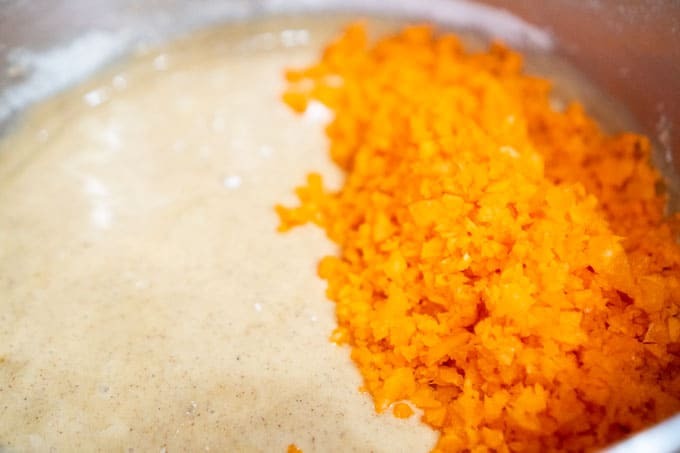 The key to making a moist, flavorful carrot cake is to use high-quality ingredients. 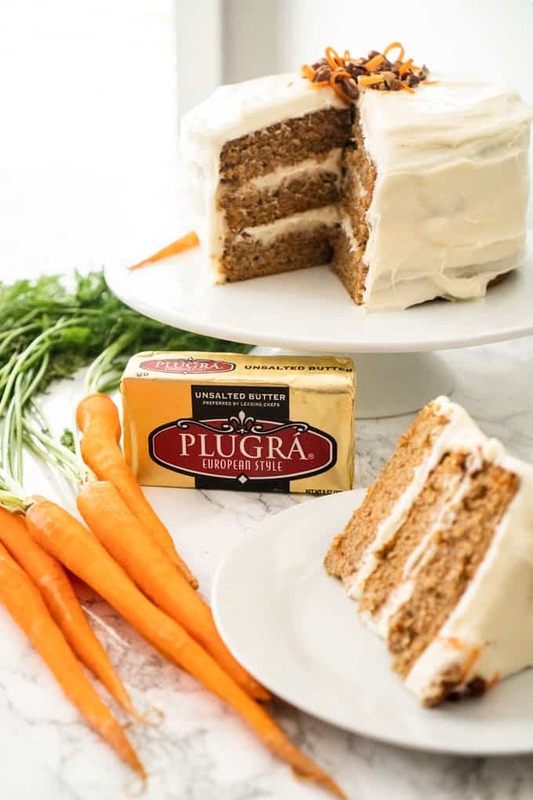 When I am ready to make this recipe I always hop on over to my Publix down the road and start in the dairy aisle by picking up Plugrá® Butter. I always bake with unsalted butter and Plugrá is hands down my favorite. It is made with real milk from American dairy farms, unlike other brands that are imported. It also has no artificial flavors or added growth hormones which you all know I feel strongly about. And it’s slow-churned for less moisture and that optimal, creamier flavor. It’s a game-changer, y’all! Click here to get a coupon for Plugrá butter at Publix so you can try it for yourself! You can use either regular or low-fat cream cheese for this recipe. Either will yield good results when combined with the Unsalted Plugrá Butter. As for the carrots, you can either enjoy a nice arm workout by hand grating them or put them in a food processor until they are finely grated. Either way works well, just make sure you use the full amount to keep the cake nice and moist! You can make this cake with three eight-inch pans like I did for my cake or two nine-inch pans. 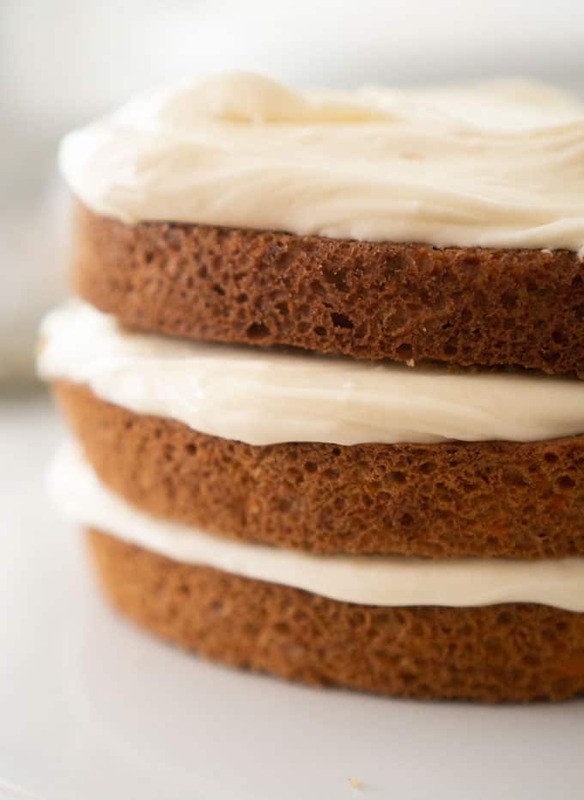 If you use the nine-inch pans you’ll likely need to lengthen the cooking time to about 30 minutes and you can cut back on the frosting (although I’ll never complain about leftover cream cheese frosting, I could eat this stuff by the spoonful!). Be sure to cool the cake layers completely before frosting. Use a large serrated knife or cake leveler to even out the tops of the layers. Then just add a generous helping of cream cheese frosting between the layers and frost as you desire. You can keep it in the “naked” style like the picture above, but that frosting is so good I prefer to load it up! 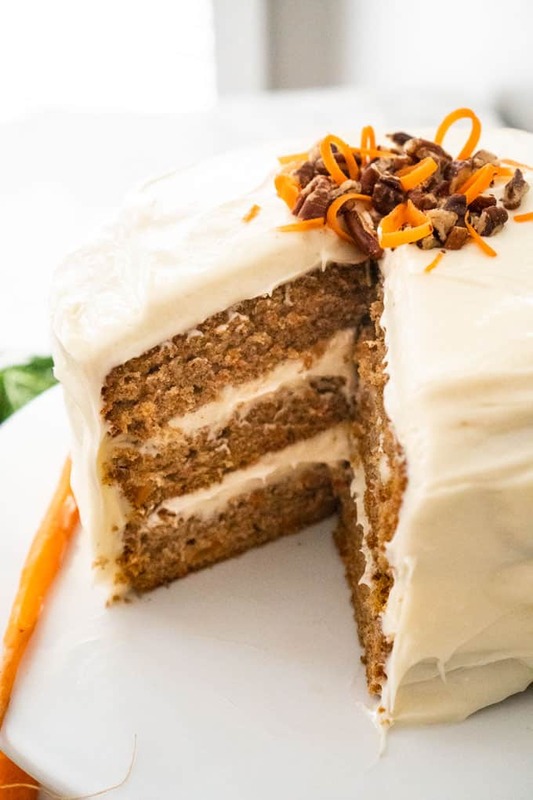 See the notes below the recipe card if you want to add nuts to this simple carrot cake recipe. 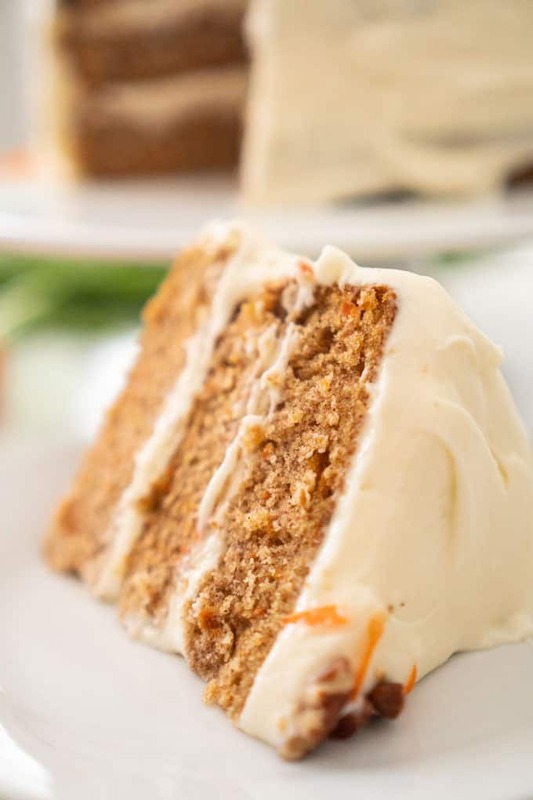 This moist, flavorful carrot cake is made from scratch and frosted with delectable cream cheese icing! 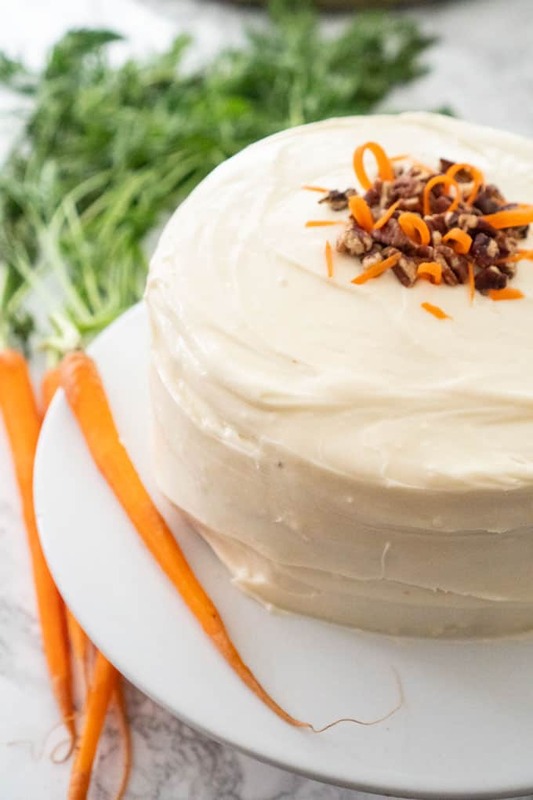 The very best carrot cake recipe I’ve ever tried! Set cream cheese and Unsalted Plugrá Butter out to soften. Spray three 8-inch baking pans generously with nonstick spray. In the bowl of a stand mixer, combine sugar, brown sugar, and vegetable oil and mix until smooth. Add eggs to sugar mixture one at a time, mixing until uniform. In a separate large bowl combine flour, clove, nutmeg, baking powder, salt, baking soda, and cinnamon. Stir to mix. Add dry mixture to wet mixture a little at a time while beating at medium speed until combined. Scrape sides of the mixing bowl as needed. Remove bowl from stand mixer and fold carrots in by hand. Add nuts if preferred. Pour batter into prepared pans and bake for 25 minutes or until toothpick inserted in the center comes out clean. Allow cakes to cool completely on wire rack before using a large knife to level tops. In a stand mixer, cream together cream cheese and Unsalted Plugrá Butter on medium speed until smooth and without lumps. Add vanilla and salt and beat on medium speed until combined. Add powdered sugar one cup at a time until incorporated. Increase speed to high for one minute. Adjust the thickness of the frosting as needed. If it is too thin, add powdered sugar one tablespoon at a time until desired consistency is reached. If it is too thick, do the same with water one teaspoon at a time. I shred my carrots in a food processor but you can also grate by hand. If you prefer your carrot cake with nuts (I can go either way) then you have a few options. You can stir them into the cake batter itself when you fold in the carrots. You can also just add some to the top of the cake for a little texture and decoration. When I was little I remember my family adding them to the cream cheese frosting between layers as well. There is really no wrong way to do it. Make it fit your family’s taste! I also like to use my vegetable peeler and a sharp knife to create little carrot slivers to decorate the top of my cake as well. It takes just a few moments and I think it makes it look extra special! Don’t forget to download your coupon for Plugrá Butter at Publix here! I hope you enjoy this recipe as much as our family does!! I had to comment because I totally agree with you about cookies…. But my favorite cake to eat on my birthday was a carrot cake with cream cheese icing! Made it today and it is perfect! Can’t wait to make this again for Easter!